It's time to go make some friends! 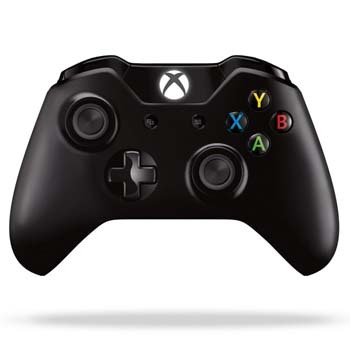 According to the Xbox One product page, the Xbox One controller will support up to eight wireless controllers. The console will come with one controller, and each additional controller is $59.99. The updated page also states the controllers have a 30 ft. wireless range and seamless profile and controller pairing by the Kinect sensing the infrared LEDs in the controller. The Xbox 360 supports up to four controllers while the PlayStation 3 supports up to seven. Sony has not revealed how many controllers the PlayStation 4 will be able to support. Few games use that many controllers at once - the usual ones being party and sports games. The controller uses rechargeable AA batteries and can be charged via a micro-USB cable. In addition, a low power state feature will conserve battery life when not in use, such as when watching a movie. Microsoft has stated before that they are trying to find a way to make the Xbox 360 controllers work with the Xbox One. The new controller will also have an expansion port for add-on devices like the Chat Headset. Batteries fit inside the controller body in a slimmer compartment than in the Xbox 360 controller, and Microsoft has changed the contours of the controller to make it fit a wider range of hand sizes. Also included in the new controller are Impulse Triggers, new vibration motors for what Microsoft calls "a whole new level of gaming realism."